During a time of record-low unemployment, it can be difficult to replace employees, whether for a short or long term, but a well-managed disability program can lessen this. Not only does it take care of employees on disability leave, it also helps to determine how best to return them to the workforce afterwards, and can even help plan for future leaves. Providing a safety net, being open to accommodations, and creating an easier path to return to work not only creates a happier and more engaged workforce, but also help the employer to decrease costs and retain talent. Trends impacting disability today include an aging workforce, inactive lifestyles, and low unemployment. What do these trends mean to employers? Millennials are now the largest workforce age cohort, but there are still tens of millions of older workers who bring valuable experience without which many companies would not be able to function. With age come age-related disease and illnesses, such as repetitive-motion and lumbosacral/lower back injuries, which can be debilitating. People of all ages are increasingly suffering from serious conditions such as Type 2 diabetes, heart disease, and stroke due to inactive lifestyles as our leisure hours increasingly involve sitting while using a computer, smartphone, watching TV, or playing video games, and many modern jobs involve long periods sitting at a desk. Low unemployment means employers can find it difficult, and expensive, to replace employees who leave their jobs. Research estimates for the cost to replace an employee are from twenty percent of the departing employee’s annual salary for lower-skilled workers to up to two times annual salary for highly-skilled workers and executives. All of these trends militate in favor of putting a disability insurance plan in place, but at present only 39 percent of private sector workers are covered by short-term insurance and 33 percent by long-term insurance. Even though disability Insurance rightly exists to replace employees’ incomes while they are unable to work, and is therefore part of the employee safety net of a well-constructed benefits program, there are also benefits for the employer in offering a disability plan. Having a disability insurance program (short term disability, long term disability, or both) is not only a tool for recruiting and retaining the best workers, but for better managing the business, particularly when combined with accommodation and return-to-work (RTW) programs. For employees that are still able and desire to physically come to the workplace, employers that have a program in place that evaluates the employees’ abilities and makes recommendations and accommodations to enable them to continue working is best practice, in addition to offering a RTW program, when it comes to disability programing. According to MetLife’s 16th annual U.S. Employee Benefit Trends Study, nearly three quarters (72 percent) of employees report that having the option to work remotely is important to their work/life balance. And offering a flexible schedule—something 74 percent of employees say is important when considering a new job—builds loyalty. Flexible work environments, the possibility of working from nearly anywhere there is a Wi-Fi connection, and the ability to “carve up” jobs into pieces combine with increased automation to accommodate a greater range of physical abilities at the workplace. 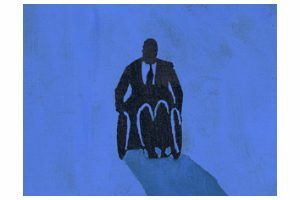 For employees on disability who are eager to get back to work, this has many positive implications: just as they get stronger while following doctor’s orders, they can go from 100 percent disabled, to 90 percent, to 80 percent, and in many cases begin to contribute to their teams and the employer as they get better, without the necessity of being completely cleared to return to work full time. Even roles at traditional manufacturing and farming workplaces may provide the ability for a disabled worker to operate at more than zero but less than 100 percent capacity, such as retraining for different positions or utilizing assistive technology. The benefits of a RTW program for employer and employee alike are improved coordination, more transparency, and more knowledge than would exist simply in keeping track of disability claims and receiving occasional updates from medical providers. For most employers with such a program, this results in fewer total days of absence, which not only helps the employer’s bottom line in disability costs, but regains the important contributions of a valued employee. With a RTW program in place, sharing information starts almost as soon as the disability period starts – HR, service providers and the employee act as a team to get a more holistic picture of the employee’s functional abilities while on leave. Many employers incorporate an online dashboard which on-leave employees can access from anywhere, so they can track their progress and relieve some of the stress of being out of work. HR stays aware of what functional improvement the employees on leave are making, whether they have plateaued or are making progress, and the possibility of their return to work and under what conditions. The employer also benefits by being able to prepare for the employee’s return to service well in advance of the return-to-work date. For employees, the information sharing means they stay connected and informed, helping them avoid being isolated on leave. Having contacts at the company involved in their progress means they can look forward to a productive return to work, under conditions that best suit their needs. Throughout, the transparency of the process is empowering and supportive. Once on the way to recovery, an employee may be able to start a few hours a week, participating in conference calls or video chats, reviewing documents by email, etc. HR and managers can also consider alternative responsibilities in either a work-from-home arrangement or a partial work-from-home arrangement if the employee is able. Working with physical accommodations either full- or part-time may be required if the employee has reached an end state in medical treatment yet is still unable to fully execute all the responsibilities of his or her role. The employer benefits not only by retaining a valuable employee, but compliance with Americans with Disabilities Act (ADA) standards if the employee now qualifies for an accommodation. Employers who pay attention to their disability program will find valuable data can be mined to determine root causes of disability and how to avoid them in future. Examples include ergonomics and instituting wellness programs that can be tailored to the specific workforce of a given company. This may be older workers who are more likely to suffer age-related illnesses, or younger workers under increasing financial stress that impacts their health, or both. This will not only help avoid future claims but create a more engaged and happy workforce. Does one location have more people that go out on disability, and of a similar type? The employer can examine what’s different about that location and compare/contrast to other sites to see if there is something that needs changing, such as non-ergonomic setups that are contributing to repetitive stress injuries. Such a review will allow for a solution tailored to each employer. Lower costs and better talent are some of the building blocks of a competitive advantage. As an employer, all the above aspects of a RTW plan can deliver real ROI. Becoming better aware of the status of each worker on disability provides information on when there is a need to hand off some work to others, when to hire temps, and when to make the decision to replace the employee who simply cannot return to work. They can also keep a lid on disability costs by helping the employees get back to work faster. And best of all, the employer gets to retain that valuable worker. Gradually bringing employees back to work has upsides all around. It’s far better for employees who are bored or unhappy on disability and long to be more productive, and it helps employers to control costs, while maintaining talent and therefore meeting the employer’s benefits objectives. Gaining valuable knowledge about causes of disability means mitigating future incidents, with fewer workers needing to go on disability leave. There is no one-size-fits-all approach to disability insurance, or to return to work programs, nor should there be. But every employer can benefit from offering an integrated program. Spending some time with the company’s broker or risk manager to figure out what will work for the company has been shown to pay dividends down the road.